It may have been a surprisingly great group of nominees this year at the Grammys, but was it ultimately a great group of winners? 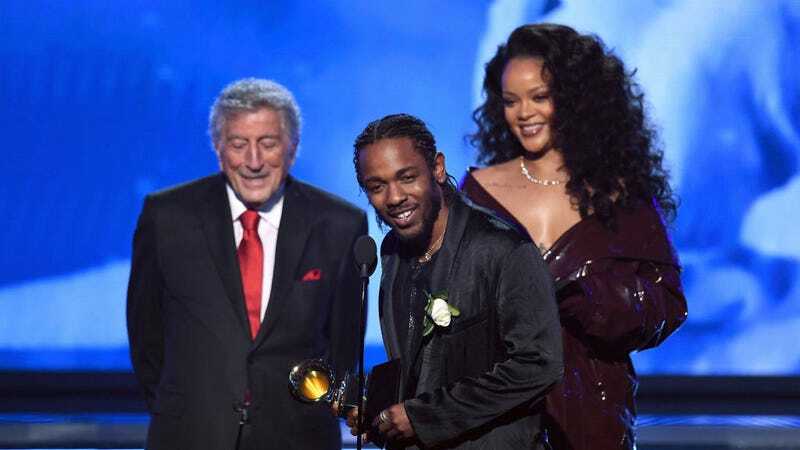 Some stand-out wins from the categories that weren’t televised include Bruno Mars winning for Best R&B Album, and Kendrick Lamar taking home Best Rap Performance and Song (and beating Cardi B in the process). Some standout losses were Ed Sheeran beating both Kesha and Lady Gaga for Best Pop Vocal Album?! Help?! And if you’re upset that we didn’t include one of your favorite categories (perhaps you live and die for the Best Chamber Music category or actually care about rock music in 2018) you can check out all the winners here.